Nikki Young studied at the Welsh College of Music and Drama from 1983 with Geoff York (principal viola of BBC Welsh Symphony Orchestra) and with Steve Broadbent (principal viola of the Welsh National Opera) as they were at that time. Because Nikki was having lessons with these teachers she was lucky enough to play a few times with the orchestras during her time at college. Nikki then moved to Swindon where she enjoys lots of playing of playing and also got into teaching via the private sector. This is when she first played the Bruch Double Concerto with Terry Busby and Swindon Symphony Orchestra – back in the 1990’s! Nikki then began a peripatetic teaching job in Oxfordshire full time and, although went to part time when children arrived, she is still there now after nearly 30 years. Nikki also taught for several years at Pinewood prep school in Bourton. 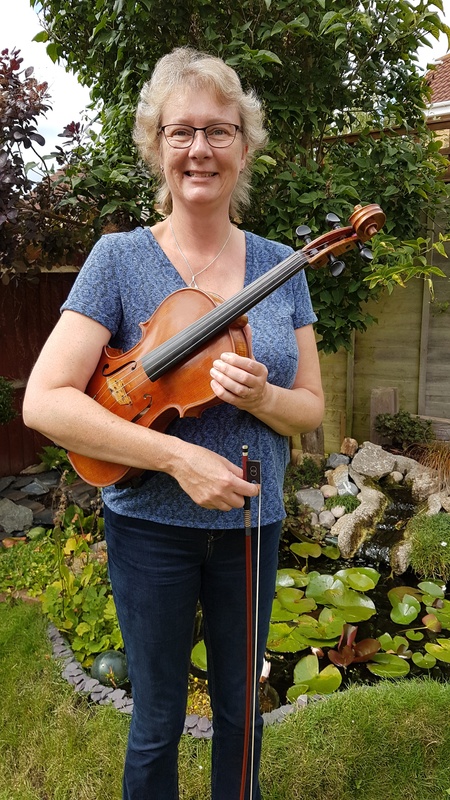 During all of this time, Nikki has played in many orchestra’s leading both 1st violin and viola sections, string groups, and many different chamber groups, including a performance of Harold In Italy with North Wiltshire Orchestra..